A very good driving school where you can study and take a short course in professional and defensive driving in the Philippines must be a company who hires qualified and licensed professional drivers. They have to be duly accredited by the LTO to teach driving lessons. In the case of a student, it is a must to learn how to do basic driving. He or she must learn to follow road signs and traffic rules. This is the first step before you can be given a driver's license by the LTO whether professional or non professional. To get a hold of the cheapest choice where to learn how to drive, we've got the largest and most complete list of schools below but before that, allow us to give insights on your options whether what you are up to learn is to drive special vehicles like a wheeler truck, crane, motorcycle or just a regular car or vehicle. There is definitely one that's perfect for you. Just imagine being made available, a 3d free driving lesson online and study via internet only with simulation of a driving machine. That must be something that any smart driving schools in the Philippines could not offer to potential customers. On the other hand, if you want to take the written exam being launched daily at the Land Transportation Office, you can go get the reviewer test questions. Some have leaked the actual questions and had it printed and is being sold outside the branches, particularly in Manila where I took my own driving test and actual driving exam to get my non-pro license today. 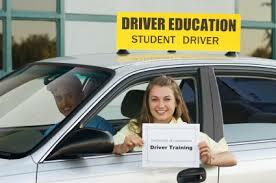 Giving services of driving lesson business is a really good investment. If you want to make a short market study regarding this entrepreneuralship, below is an official map on where to find the different institutes all over the Philippines, particularly in Manila. On the other hand, if you are just interested to undergo defensive driver's training, you may enroll anywhere or even hire a private instructor to teach you so that when you apply for your driver's license, you won't have a hard time passing the actual drive test. To find the nearest branch of any accredited driving school in Manila, hover in the map with the red baloon markings.